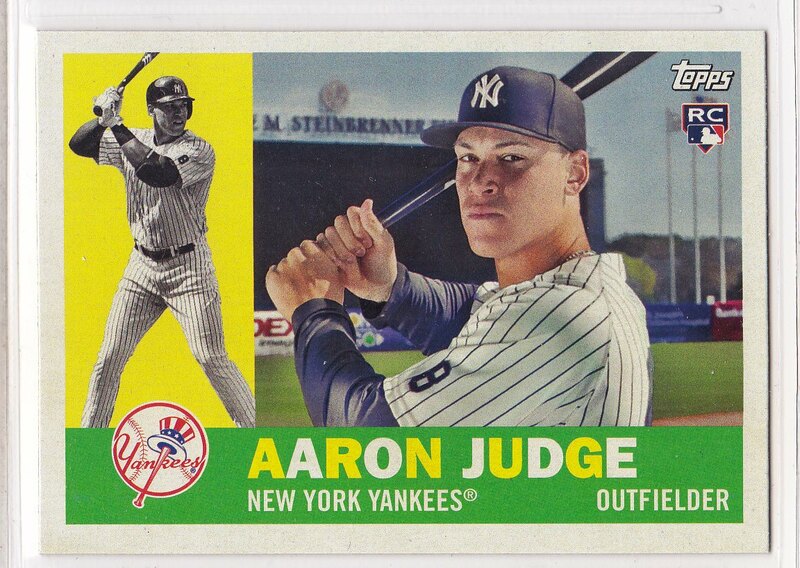 Imagine opening a pack of baseball cards and pulling mint specimens of Hank Aaron, Aaron Judge, and Mike Trout one after another. 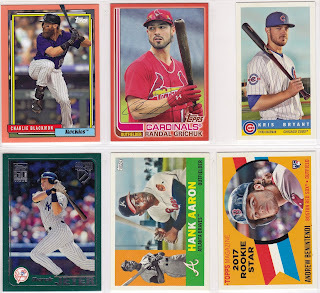 While this sounds like a fantasy lineup, 2017 Topps Archives provides a wonderful array of fresh faces mixed in with veterans and legends in the design of vintage Topps cards from yesteryear. 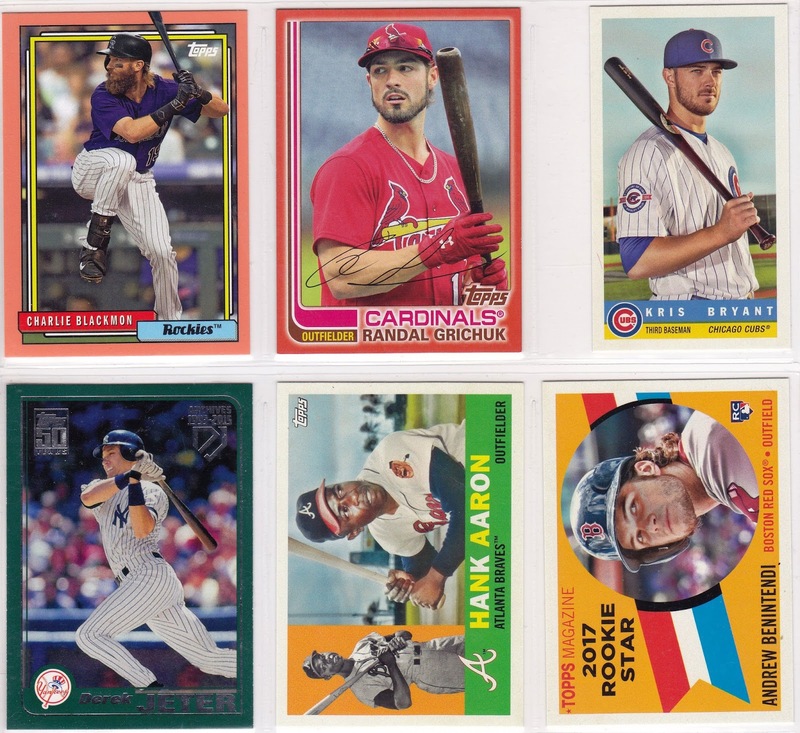 Focusing on the themes of the 1960, 1982, and 1992 sets, this year’s Topps Archives set is one of the most exciting and controversial releases to hit the market this season. While collectors are attracted to seeing their heroes fixed on classic Topps motifs, much attention has been given to who Topps chose to be signers for their Fan Favorites autograph insert cards. Baseball chaser Zack Hample, who gained notoriety for catching Alex Rodriguez’s 3,000th hit, was nabbed by Topps to be part of the series, which includes other debated aficionados such as Skip Bayless and Bald Vinny. Once fans got wind of his appearance in the set, they reacted with disdain to the possibility of landing his card as one of the two guaranteed autographs in each box. Some even resorted to having bids on ways to destroy the card with the proceeds going to charity. And here it is, in all it's glory, the official @zack_hample autographed Topps card! Fortunately, the box provided for this review yielded spectacular autographs of Hall of Famer Tommy Lasorda and Kansas City Royals star Kevin Seitzer. These cards are crisp in the both their styles and signatures. Going past the base set, the 1959 Bazooka Gum and 1960 Rookie Card designs have tremendous eye appeal that further an even greater reason to pursue Topps Archives. While on their chase, consumers will also find a career retrospective to Derek Jeter as another way to get on the bandwagon. 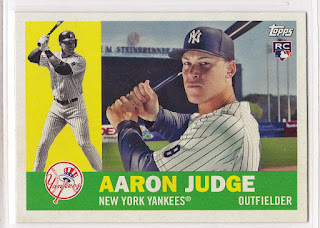 Despite the chatter surrounding the desirability of a few of Topps’ choices on autographs, collectors have found excitement in seeing the tremendous history of past and present stars distributed in classic Topps styles. With the opportunity to pull a future Hall of Famer alongside one already enshrined in Cooperstown, it makes 2017 Topps Archives a release that can weather all seasons.